Moto X to get custom backplates? The customisation options for the "designed by you" Moto X phone could include the chance to choose from a variety of build materials for the device's backplate. According to Android and Me owner Taylor Wimberley, who's been firing off tips left and right recently, options for the casing will include wood, metal, fabric and ceramic as well as the default plastic. The tip follows reports earlier leaks claiming buyers would be able to choose colours and request custom engravings. 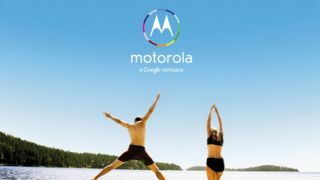 In a post on Google+ Wimblerley wrote: "People keep asking for Moto X leaks, so here is another tidbit. Moto X features a curved design engineered from ground up for personalization. "As I reported awhile back, users will be able to pick the material for the backplate. Plastic is the default material, but wood is also an option that should be available at launch. Other materials like metals, ceramics, and fabrics should become available after the August 23rd launch." The potential August 23 launch date was revealed yesterday thanks to the leak of a purported roadmap for US network Verizon. The device is expected to launch on all networks in Motorola's US homeland and beyond, but in his post on Friday, Wimberley hinted Verizon's great rival AT&T may have a little exclusive up its sleeve. He added: "AT&T has some kind of "exclusive" thing for the Moto X launch, but I don't know if it's an exclusive material/colour or something else completely different." If the Moto X went on sale with the aforementioned options, which backplate material would you choose? We'd have to say the wooden finish sounds rather appealing. To keep up with all of the latest gossip, check out our Moto X news and rumours page.